The announcement that Alice Munro won the Nobel Prize for literature came as I was reading this new collection, right as I was about to start her story within it. I began it with some trepidation, because I have yet to read a story by her that I enjoy or appreciate (though I have only read a handful), and again, I found it hard to keep my attention within it. I felt this way about several stories in this year’s collection, with a few exceptions none seemed particularly strong. Oh they are all good. And I know that Munro writes expertly. But they aren’t what I would consider the ‘best’. The story by Millhauser disappointed most severely. I typically adore his stories because they are filled with a certain magical wonder and tackle themes commonly present in sci fi or fantasy. The story here however, alternating between a Biblical retelling and a writer’s insomnia felt abnormally excessive and flat with a melancholy in place of the wonder I expected. The stories I most enjoyed were “The Provincials”, “Malaria”, “Magic Man”, “Miss Lora” (my awaited intro. to the popular Diaz) and “The Tunnel, or the News from Spain” the latter one I previously enjoyed in Glimmer Train during its initial publication. This year’s editor of this collection, Strout, comments that the stories picked are united by having strong voices that are true to the characters and the time/place those characters find themselves in. That is absolutely accurate, and I enjoyed these stories for precisely that reason. The other stories she picked have that quality, but simply are not voices I found that compelling or cared to hear much from. This was most evident with Saunders’ “The Semplica Girl Diaries”, a voice I found painfully awkward and dull to read. Like each year’s collection, one isn’t going to love every choice. 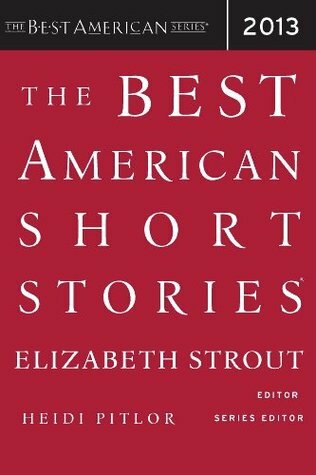 Strout met her criteria for inclusion, but those criteria leaned a bit too heavily on style over substance or enjoyment for the reader giving the 2013 edition a bit more narrow of a reader base that will adore it.